We are proud to serve clients in Barrie, ON with all of their needs for roll-off bins and waste removal. Roll-off bins are an excellent way to get extra waste disposal capacity on your job site. There are several important calculations you need to make before ordering roll-off bins. Knowing the answers to these questions is guaranteed to save you time, money, and frustration over the life of your project. First, determine how long you will need the roll-off bin. Same-day drop-off and pick-up are available when necessary in order to help you get the most out of the bin without sacrificing space, frustration, or time lost on trips back and forth to the dump. Next, determine what type of waste will be put into the bin. Some hazardous or potentially dangerous materials aren’t accepted in trash cans or roll-off bins; make sure you’re aware of and following the rules and regulations regarding disposal of potentially hazardous materials in your area. Last but not least, determine where the bin will need to go, how large it could comfortably be, and how much clearance it will require on either side. Knowing these measurements will aid you in selecting the proper size bin, as well as the reasonable payload and total capacity of each system. 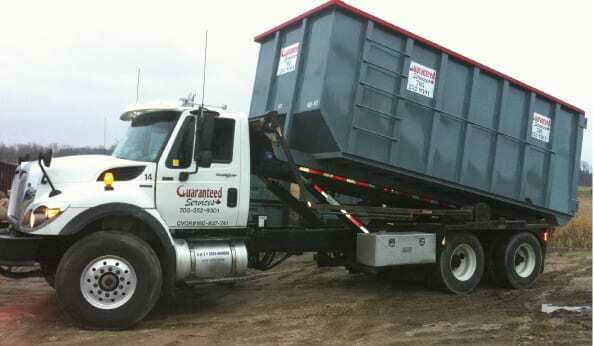 At Guaranteed Services, we are proud to serve clients in Barrie, ON with all of their needs for roll-off bins and waste removal. We’re happy to help you figure out precisely what will best fit your needs, and we offer punctual and speedy drop-off and pick-up for all of our clients in order to help you with your various projects. For more information, contact us today— we’ll be happy to assist you! 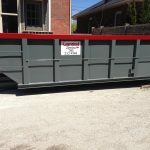 At Guaranteed Services, we offer rentals of roll off bins in Barrie, Innisfil, Collingwood, Orillia, Wasaga Beach, Angus, Stayner, and Midhurst, Ontario. Call us or fill out the form above to reserve your bin.Bin rental rates are based on up to 6 nights at your location. Credit card deposits are required when ordering. Deposits are based on bin size, location, and material being disposed of. Visa and MasterCard are accepted. Customer must call to end rental term. Use Our Contact Form to Inquire About the Bin Size You Need! Fill Out Our Contact Form to Request More Info!